Congratulations to the Raspberry Pi foundation as the Pi is now﻿ 1 Year old today! The $25 (or $32 for the model B) computer that has been a run-away success. I'm celebrating by ordering my 5th one exactly a year after my first. Hopefully delivery should be a lot quicker this time - ETA 1 week rather than several months. What a great success story - now over 1 Million sold, most running Linux - it's a great way of people learning about Linux and hopefully about the philosophy behind the open source operating system. Whilst, like me, many are adults enjoying the Pi as it allows them to create projects that were too expensive / too difficult to achieve before, the main aim is educating children. 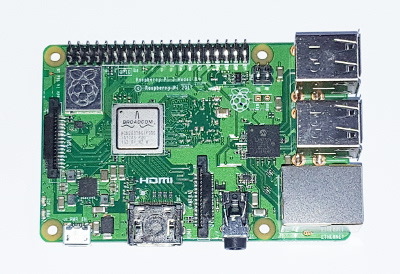 My 7 year old daughter has her own Pi (included in the 5) and my 5 year old son will be getting one soon (with lots of hand holding). I've created some Pi projects already, am teaching my daughter to program with Scratch, been a technical reviewer for a book, I'm entered into a competition (more about that in the next few weeks) and have some more plans for the future. Whilst some of these I may have done eventually it's the Raspberry Pi and the great community that has gathered around it that has given me the motivation to get so involved. These are still very early days and it's when the Raspberry Pis start to get into the classroom that the educational side is going to really take off. It's going to be an interesting second year.